EV Thompson – Hurley Books – How do you do? In which E.V Thompson talks about his writing career. The following is a rough transcript of the interview I held with EV Thompson at the recent St Austell Library Reader’s Day. Neither of us recorded it but I kept a copy of my questions and so I e-mailed them to EV. Between us we’ve tried to cobble together the interview as it ran. Churchyard and Hawke is your 38th novel, your 39th Beyond the Storm is about to be published and your writing your 40th. That’s a huge number of books and you’re clearly well loved in the UK but I’m wondering if you have a worldwide audience? How many languages have your books been published in? EVT: Translations have varied over the years, some books doing better than others. CHASE THE WIND did best. When it won the award as Best Historical Novel of the Year it went into 13 languages. Do their covers vary from country to country? EVT: Oh yes, they vary enormously and authors and publishers rarely agree. In early days I was never entirely satisfied with them and one day, when having lunch with Winston Graham he agreed with me, saying that my covers were of the type he turned down in the 1930’s! As a result I had it written into my contracts that I have to approve them – but at the end of the day the publishers really decide. I imagine that you run into a lot of conflict with publishers? For you, writing is a creative process for them it’s a commodity? How much say do you get? EVT: Usually my relations with publishers are very amiable, but the publishing world has changed dramatically during the 35 years I have been writing professionally. I was lucky with my first editor whom I had for 15 years. He was of the ‘old school’ and became both friend and mentor. We would occasionally have differences of opinion but would discuss the matter and not argue about it. He always stressed the fact that it was my work and that the final decision on any point would be mine. My present publisher is a similar type of man – but you are right, for many of today’s publishers a book is a mere commodity, there to make money for them. Some of the audience may not be aware of the fact but you are a meticulous researcher. If you say a river flows along side a bush, then that’s exactly what it does. Do you enjoy the research? EVT: Yes, I thoroughly enjoy researching. Had I enjoyed a University education I might well have become a researcher. When writing a novel I need to learn all I can about subject and place. The look, feel – and even the smell of a place is important. My research has taken me to some of the remotest places in Africa, Asia, Canada, USA, Australia, etc., but I sometimes end up disappointed with my findings. I once went to Texas to check on the estuary of a river, only to learn that the Texans had not liked the place where it flowed into the sea, so they had changed its course some years before and it now flowed into the sea some 25 miles from where I had set it in my book. Fortunately, I met with a local historian who gave me maps and photographs of the original place! So which do you prefer, researching or writing? Do you write for yourself or your audience? EVT: Always have readers in mind, but write for myself, could not do otherwise. You’re best known for your historical fiction but you’ve also written various non fiction titles as well, are you interested in writing modern fiction? EVT: I brought my saga of Retallick family up to the 1st World War but do not want to carry it any further forward. I find I can use life’s experiences in Historical Novels without having readers speculating on whether I have been in similar situations. Besides, I enjoy history, it is, after all, what has made us the people we are today. I was chatting to you earlier and you’ve had such a varied career have you ever considered an autobiography? EVT: I have thoroughly enjoyed the life I have led but am basically a very private person and prefer to keep my personal life private. Which of your books are your favourites and why? EVT: CHASE THE WIND has to be my first favourite. When it won the award for Best Historical Novel with £7,500 prize (quite an amount 35 years ago), plus guaranteed publication in America it changed my life completely and was the realisation of a dream. But also enjoyed writing DREAM TRADERS, BECKY and CASSIE. They were of places and types of people with whom I am familiar. What are you currently reading and are you enjoying it? EVT: I read very little fiction, enjoying many books on various facets of history, but have always enjoyed the writings of Leon Uris – EXODUS, ARMAGEDDON, etc., and was fortunate enough to meet him and have a long chat about his writing. From the audience. How do you write? EVT: I need to use a Word Processor and it does make work a loot easier, but for sheer personal satisfaction I refer to use a pencil and pad and will write that way when time and commitments permit. I have about 100 pencils in pots around my study and use them until they all need sharpening. EV Thompson came to sign his latest book and switch on the Christmas lights! Just realised that I never actually got round to writing this one up! 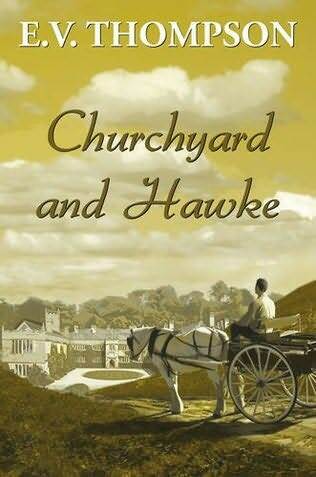 On Saturday 5th December EV Thompson came to sign copies of his latest book Churchyard and Hawke. 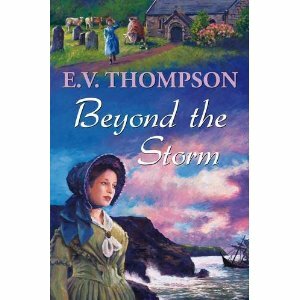 EV Thompson has been writing historical fiction with a cornish theme for many years and has a huge following. 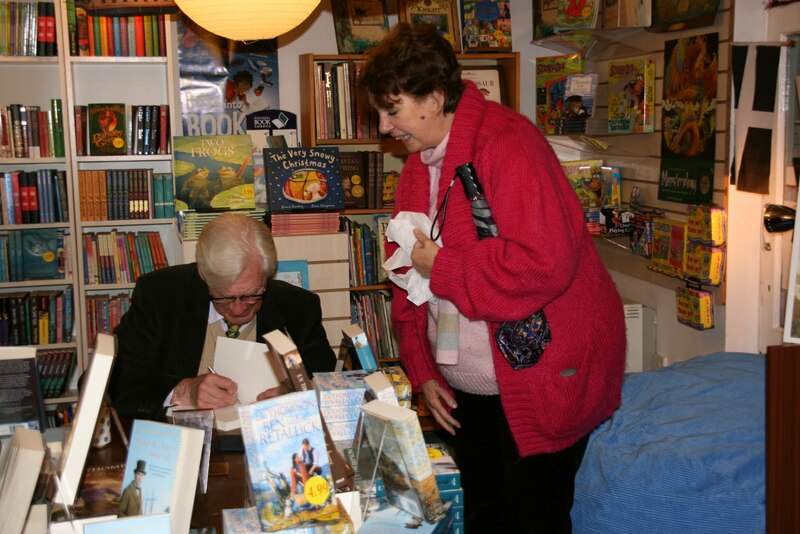 We were lucky enough to have him do a signing event in our shop because for many years he lived in Mevagissey, in fact in many of his books and on many jacket covers you will recognize familiar places. I wonder if you recognize the fine house on the front of Churchyard and Hawke? I was really nervous about the whole event, having never staged a signing before but it was a doodle, EV was the most friendly and self effacing chap and his fans were treated like old friends. We had queues everywhere and had to fit his postal signings in between the in the flesh signings. We run a large mailing database for all of Mr Thompson’s fans who live overseas or up country so we had loads of those to get signed and dispatched as well. We sold around 100 hardback copies on the day which was phenomenal, apparently we even gave the local Waterstones a run for their money.